Arthritis is an inflammatory condition that can be exacerbated – or alleviated – by the foods we eat. Having a healthy weight will help you reduce the stress on your joints. A major risk factor for osteoarthritis is being overweight. By losing just one pound, the stress on your knees goes down by four pounds. By getting regular exercise via strength and aerobic training, and eating well, you can maintain a healthy weight and reduce the risk of getting arthritis. Gastric Band Hypnotherapy can also help to reduce weight and prevent weight regain. Good fats can have an influence on inflammation, which is a huge factor in rheumatoid arthritis. To help your immune system stay in check and avoid attacking your joints, consider omega-3 fish oil. You can get this from fish like tuna, mackerel and sardines, among others. You can also get omega-3 from walnuts, flaxseed oil, and ground flax. Keep your Vitamin D levels up. Drink milk fortified with Vitamin D, or orange juice. You can also take a multivitamin to get it. Research suggests a link between low levels of vitamin D with an increased risk of osteoarthritis and rheumatoid arthritis. Some evidence suggests that a diet rich in carotenoids decrease your inflammation. You can enjoy fruits and vegetables like oranges, pumpkins, papayas, tangerines and bell peppers as part of your diet to get these beneficial carotenoids. You will want to get 7 to 9 servings of fruits veggies each day. Here are some foods you will want to stay away from to prevent inflammation as best you can. Some studies argue that there is a link between chronic inflammation and the saturated fats you find in full-fat dairy, red meats, poultry skin and butter. This is also found to be true for hydrogenated oils and fried foods. And while fruits and veggies are beneficial, do not fall victim to the rumor that nightshade vegetables will cure arthritis. These are great foods to eat, but the claim that they can ease joint pain or reduce inflammation is not supported. These include things like tomatoes, eggplant, peppers and potatoes. Several people report that nightshades actually makes their arthritis worse. This does not refer to how old you are. Rather, this term refers to what is called an Advanced Glycation End product. These occur in foods that are pasteurized, grilled, fried or heated. These cause damage to certain proteins in your body. Your body tries to break the AGEs apart by sending inflammatory signals, which results in arthritis or another form of inflammation. It may be hard at first to break old habits and reduce the consumption of foods that you love. However, the reduced inflammation that may result will be well worth it. 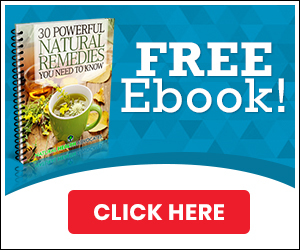 If you’re looking for the most effective natural way to not just reduce –but completely cure- arthritis then check out Blue Heron’s Guide to Healing Arthritis today!